Today we’re sharing a premiere of “Superstition,” one of four songs on Daylight Robbery’s upcoming new EP Signal Bleed. 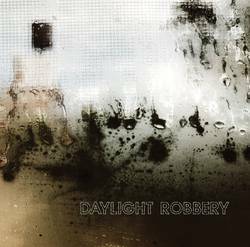 Daylight Robbery hails from Chicago and play DIY-minded post-punk with an ear for late 1970s and early 1980s influences mired in post-industrial rhythms that are fleshed out by the guitar-bass interplay of David and Christine Wolf. Powerful vocals drive the songs home while the shifting drums give a steady base. The new album comes out on May 11 on Taken By Surprise Records. Catch the band soon as they embark on a European tour.